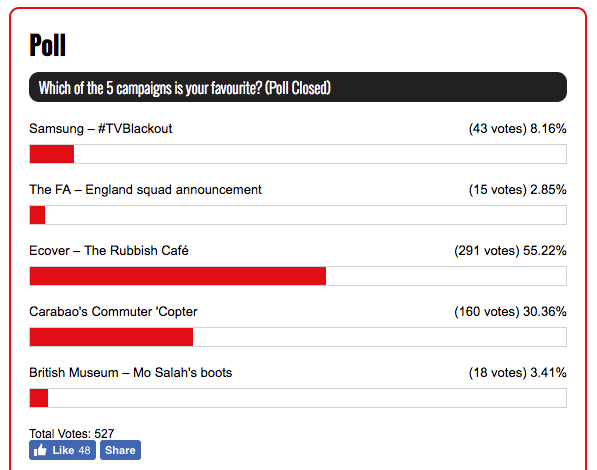 An exciting battle between PRWeek's five favourite campaigns in May was eventually won by The Rubbish Café, by Ecover, with more than half the total number of votes. The pop-up, 'zero waste' venue in London was open for two days in early May and used the Red Consultancy for PR. In second place, with 160 votes, was a clever stunt from Carabao. The energy drink brand took advantage of the inevitable fallout from what was described as the biggest ever shake-up to UK rail timetables by trolling Southern Rail with a London-to-Brighton commuter helicopter service. Ecover opened a pop-up venue dubbed The Rubbish Café where consumers must pay for food using plastic rubbish. Based in London's Long Acre in Covent Garden, and open to the public from 3 to 4 May, The Rubbish Café featured a zero-waste menu created by eco-chef Tom Hunt. Visitors were given suggestions of swaps they can make to reduce, reuse and recycle plastic packaging, while free refills of Ecover washing-up liquid were also available. 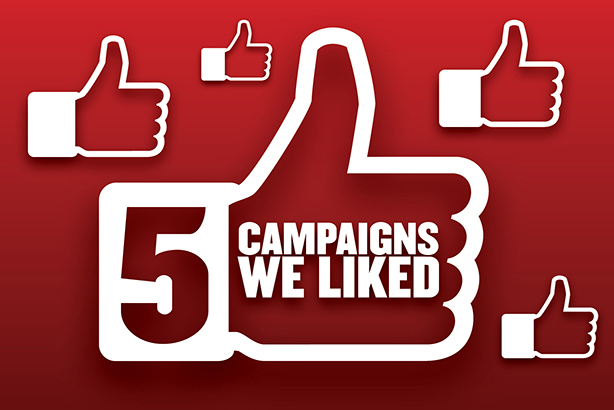 PR and the café concept was led by Red, while VCCP led the creative, Wholegrain worked on the website redesign, Media Bounty conducted the social media strategy and Wavemaker planned and bought the ad media.